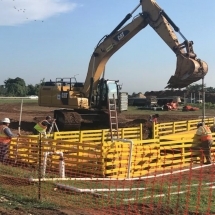 After the flooding of the Brazos River, a large diameter pipe, owned by Waco Metropolitan Regional Sewerage System, failed at a joint, causing a sinkhole to form. 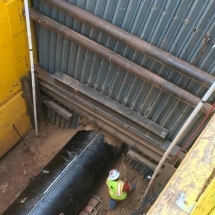 This project will reroute the watsewater line and a water line in the same area. Work began in August 2018 and is expected to be complete by April 2019. Street closures are anticipated due to this project.